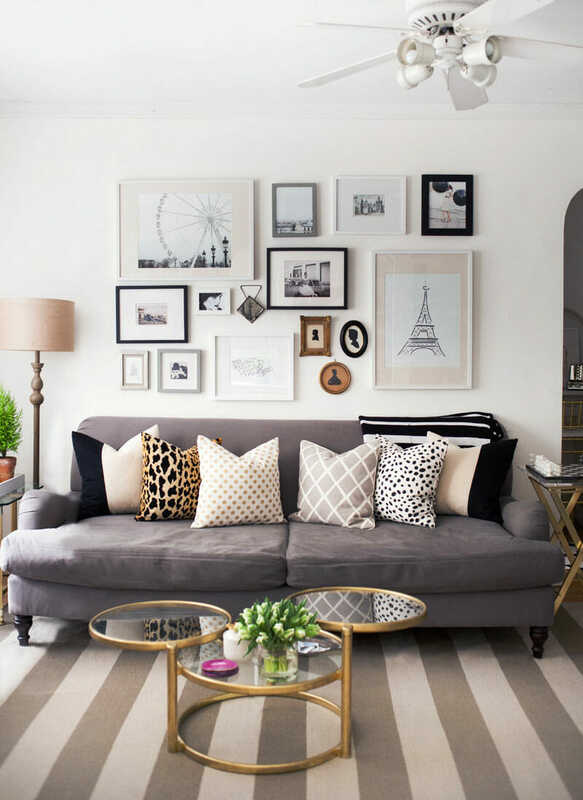 Written by Decorilla designer, Cristina R.
The gallery wall is definitely a very popular design element. 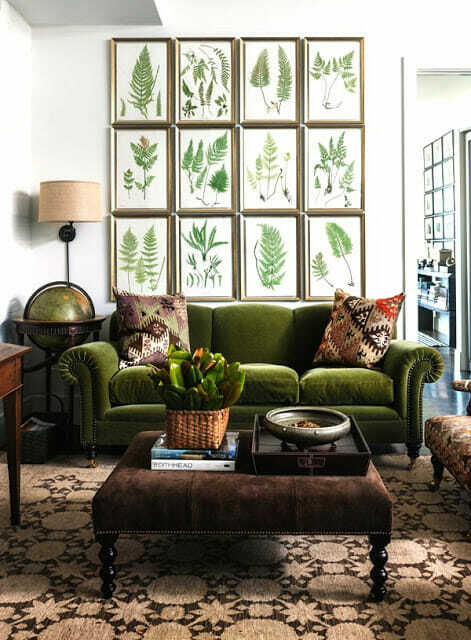 It is a great way to not only decorate a wall but also to really showcase your personal style. It’s an opportunity to take a little design risk and get creative. 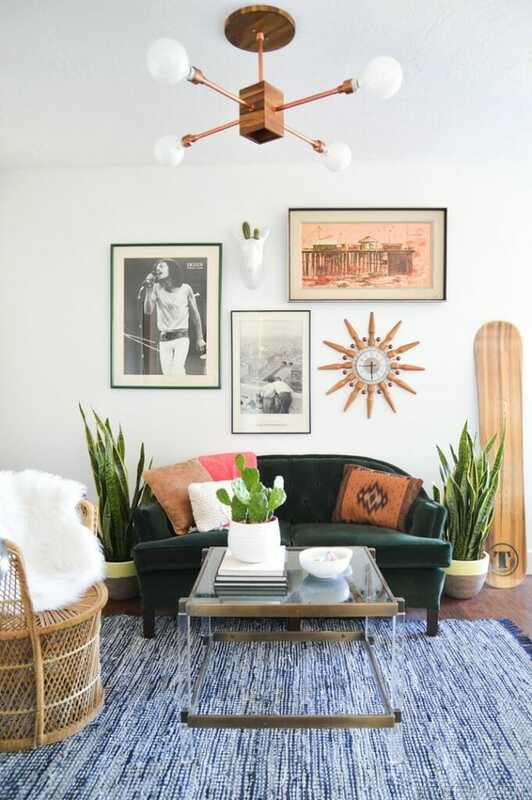 Whether you decide to create a large or small gallery wall, it will definitely elevate the overall design of your space. It can seem a little intimidating to take on this type of décor especially since it means leaving holes in your wall. 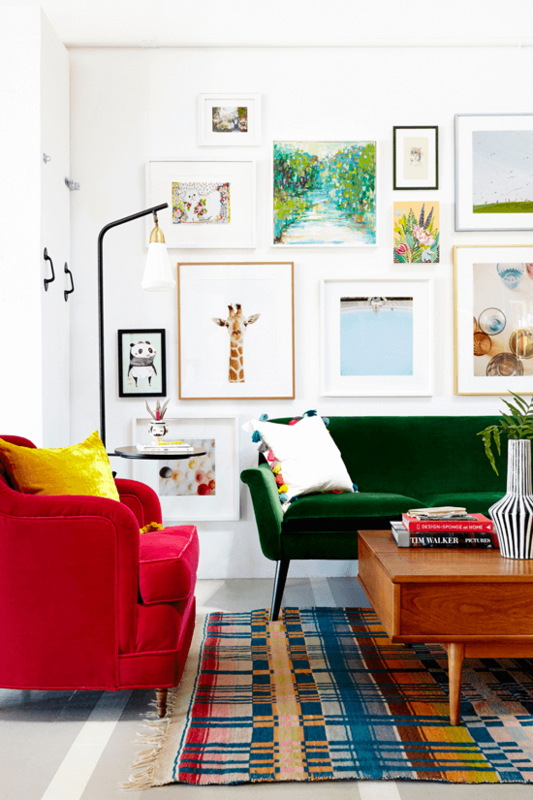 The following gallery wall ideas and tips will help create the best gallery wall while limiting the possibility of making mistakes. 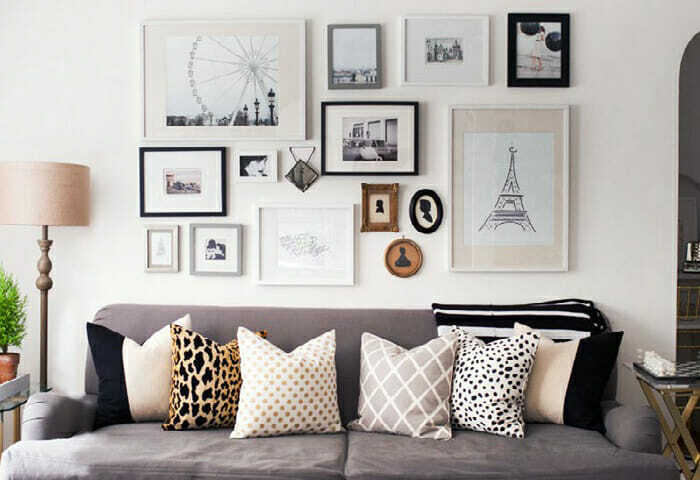 One of the best ways to get started on creating a gallery wall is by determining your style. Do you like scattered artwork or the neatness of a grid? Mismatched frames or identical ones? 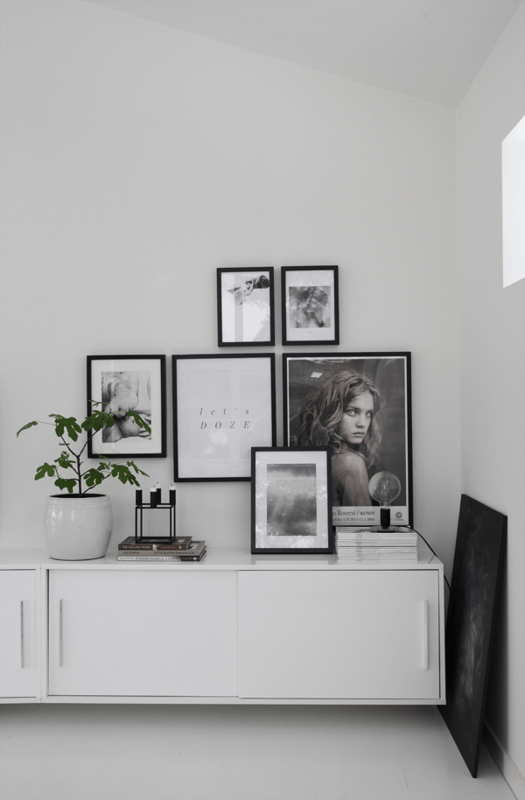 A quick search for gallery wall ideas on Pinterest you will offer a variety of great options, but it’s always a good idea to filter your search to get the best results. Check out my Style + Organizing board that features a lot of different types of gallery walls for a little inspiration. Here are some favorite styles that instantly change the feel of a room. This style is refined and gender neutral. 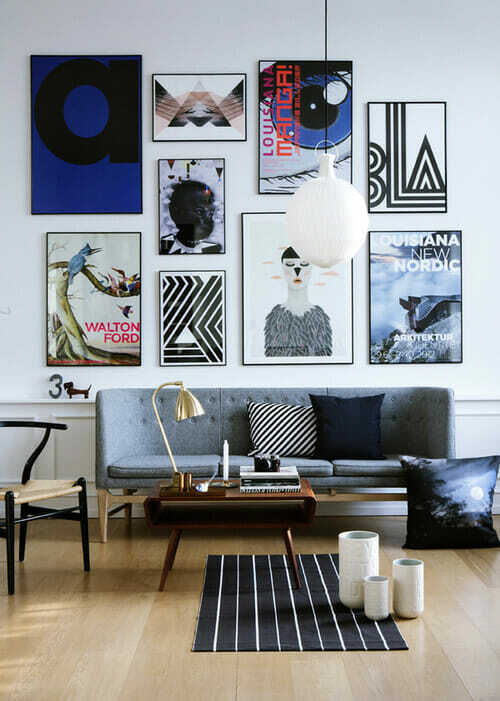 It looks great arranging the frames in an orderly grid or scattered. Black and white images work particularly well with photographs, sketches and illustrated maps. This style is for the outdoorsy globe trotter who appreciates an element of flexibility in design. The style of gallery wall works well with organic paintings, photography and sculptural or textured objects. This style definitely speaks for itself. It’s for the edgy risk-taker who loves to make a statement. It works well with large abstract paintings, graphics and patterns. This style is for the quirky romantic. I can see it in a home office or living room that wants a punch of fun. It works well with colorful illustrations, quotes and soft colored photography. After framing, layout your artwork on the floor. This gives you the opportunity to move around your frames and get a visual on how they work together. Once you’re happy with your arrangement of frames, use kraft or tissue paper to trace and cut out the size and shape of your frames/objects. 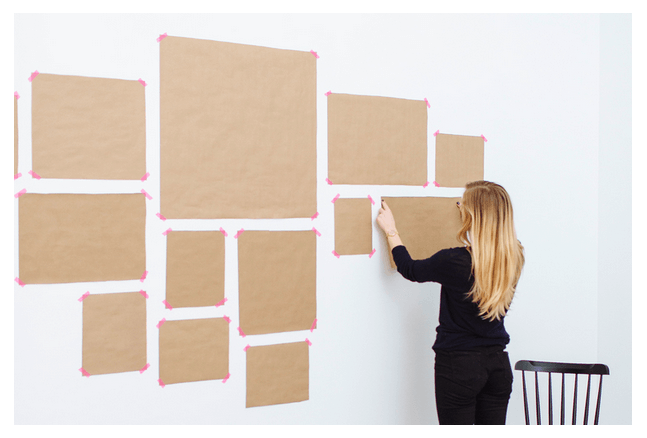 Using tape, tape your cut out paper squares on to your desired wall and mock up your arrangement. Make sure all the heights and spacing are the way you want it. Need a little more guidance? Consult a Decorilla virtual interior designer for affordable gallery wall help. When ready to hammer and hang, hammer your nails right through the kraft paper. Tear the paper away once your nails are set, and replace with artwork. 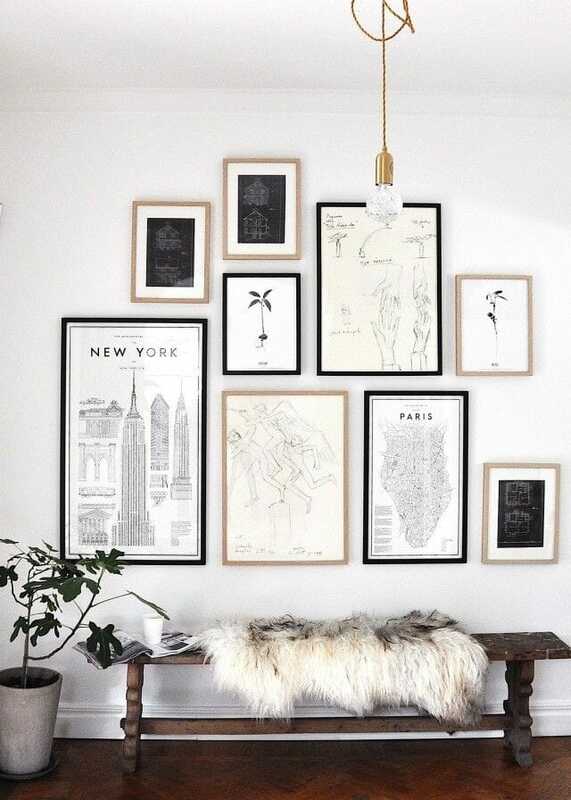 If you wish, make your gallery wall a focal point by adding accent lighting. And there you have it, your beautiful gallery wall! Let us know which style is your favorite!